"Ozone is for the smallest of the smallest of towns. It's not the size, but the application. ", declares Beach. IOA (International Ozone Association) - 600 MGD... What About 2 MGD? 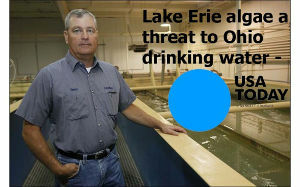 CleanWater Ozone Systems Inc. has agreed to help Ohio residents deal with an algae related toxin outbreak in their water supply that left thousands without water and at risk. 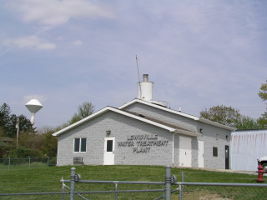 After toxins overwhelmed the Carroll Water Treatment Plant in Ottawa County Ohio requiring an emergency shutdown of all water, local officials were forced to distribute bottle water to the local residents and businesses until toxins levels could be controlled through additional chemical treatment or until the algal bloom from Lake Erie naturally subsided. With poisonous microcystin toxins exceeding 3.5 times the safe levels according to the World Health Organization, a solution needed to be found to eliminate the problem, and ensure a repeat emergency situation would not recur. After consulting with State of Ohio engineers, Carroll Water and Sewer District Superintendant Henry Biggert was advised to call Peter Conner, President of CleanWater Ozone Systems Inc. With over 25 years in business specializing in chemical free water purification, CleanWater has encountered and solved every type of water problem presented to them using state-of-the-art ozone gas water treatment technology. Superintendant Biggert invited CleanWater officials to the plant for a discussion and tour of the facility. "What intrigued me most with CleanWater was that they could produce more ozone with 1/3 of the energy previously required. The CleanWater equipment is easier to maintain and repair, we are now able to monitor the ozone?s effectiveness in real-time with the installation of upgraded alarms and monitors, and all this with greater safety to our staff and equipment." With Toledo spending over 1 million dollars this year to address the toxin problem, Carroll Water & Sewer District looked to their council leaders for the right way to manage the fix. The Emergency Resolution Authorizing the Purchase and Installation of Equipment to Prevent Toxins in the Districts Treated Water was passed on Thursday, November 20th. 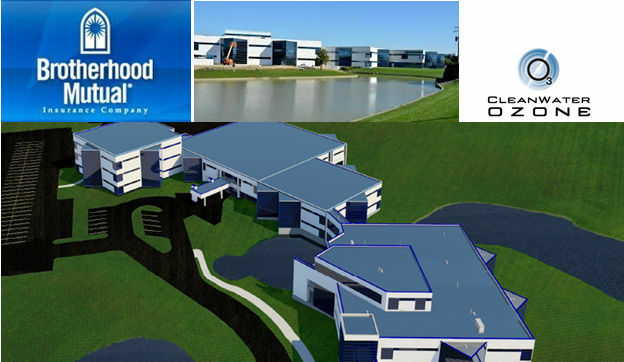 More information is expected to be released in January, 2014 following the installation by CleanWater Ozone Systems. For the past 20 years, CleanWater Ozone Systems Inc. and Brotherhood Mutual Insurance have remained trusted business allies. In 2013, Brotherhood Mutual added on another 55,000 gross square feet to the existing facility. This required more water systems need for the upgrade in capacity. CleanWater was trusted to advise and supply the specifications needed while saving money over their competitors. 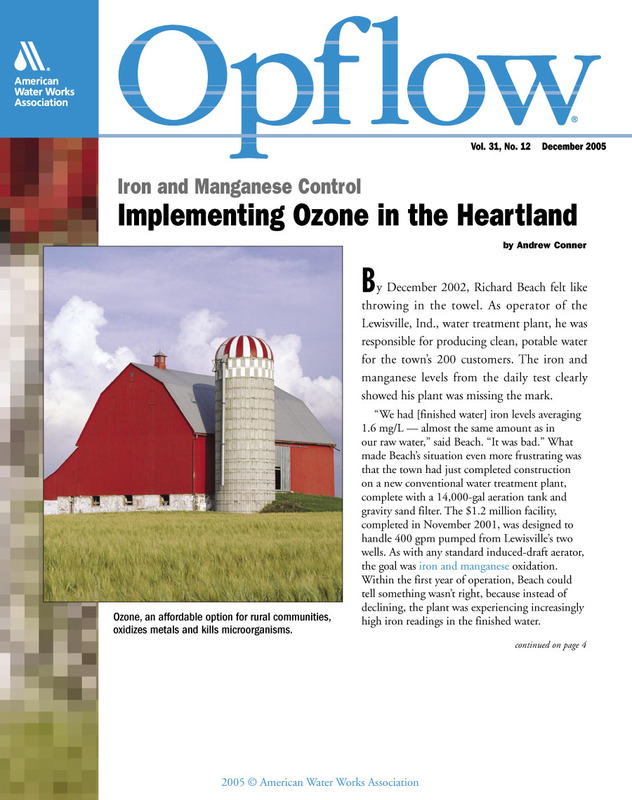 Brotherhood Mutual Insurance first sought out CleanWater Ozone to provide a water treatment system which could assist their ailing 1000-gal., 150-ton cooling tower in 1994. Click here to learn more about Brotherhood Mutual Insurance of Fort Wayne. ? We?ve been happy customers for the last 20 years. What more do I need to say about customer satisfaction.? ? Phil Doege Facility Supervisor. In the summer of 2013 city officials decided to upgrade their ozone treatment equipment to produce more ozone gas while using less electricity. Originally a conventional aeration plant, the city of Lewisville Indiana?s Water Treatment Plant was retrofitted in 2002 with a CleanWater Ozone treatment system to combat heavy iron and iron bacteria. ?An ounce of prevention is worth a pound of cure? according to Benjamin Franklin, and that?s exactly the sentiment Lewisville Indiana feels about the safety, efficiency and condition of their townspeople?s water treatment plant. A maintenance contract ensures the system is tested biannually to keep their equipment running in perfect condition for years to come, guaranteeing clean and purified drinking and bathing water. In the fall of 2013, Kirklin purchased new equipment and refurbished existing systems to continue providing the highest water quality to their residents. After battling taste and odor problems Kirklin officials have relied on CleanWater Ozone Systems advanced ozone technology to treat their 100,000 GPD of water to the towns residents and businesses since 1999. CleanWater Ozone Systems new ozone generators produces more ozone with less energy required.